Not too long ago, I was approached by a very popular curriculum company offering to shell out big bucks if I would partner with them to promote their "early learning academy," a rigorous online, digital preschool for kids as young as two. They had a well-developed marketing plan and high hopes that I would jump on their crazy train. It would have meant a substantial contract and a big fat check every month for yours truly. But I turned them down. Because preschoolers don't need screens to learn and they certainly don't need rigor. Science has proven that screens, especially for very young kids whose brains are still developing, are like digital heroine. So I knew that my collaboration with that particular company would just end up being a fire-and-ice relationship. Whenever I'm asked to compile a list of my top MUST HAVES for preschool, my list is always very short and somewhat underwhelming for eager first-time-around homeschool moms. It's not that I'm lazy or that I don't know my way around a curriculum catalog. It's just that I'm unimpressed by the tawdry offerings of most preschool "curriculums." "Our aim in education is to give a full life." 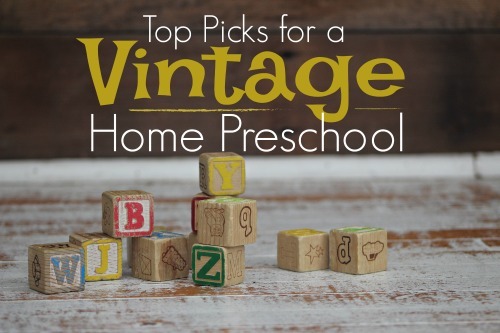 I may have started my preschool journey on the wrong foot, but eleven years of experience helped me to slough off all the extras and unnecessaries that the popular curriculum catalogs have always tried to shove at me. I eventually learned to embrace the meaningful things, the things of value, the things that helped cultivate a full life. Open-ended toys foster creativity and imagination. They don't come with a pre-scribed agenda and can be used in a variety of different ways. They're usually generic in nature and don't have any themes or cartoon branding. They cultivate problem-solving and social skills as they allow for ever-evolving play. They are the simple toys of yesteryear--ones without flashing lights, sound effects, and moving parts. As my preschoolers got older, I also liked to include lots of preschool-appropriate board games to encourage family connections with siblings and cognitive/reasoning skills. Crafts have their place, but I've always preffered art for preschoolers...and really any age. 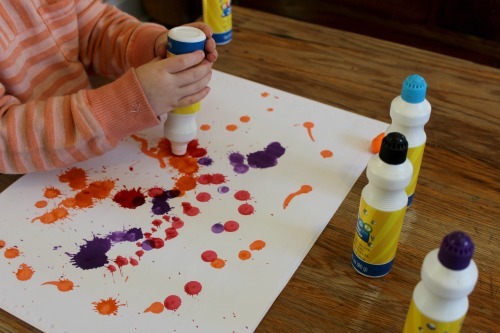 Unlike craft projects which come with a pre-determined list of instructions and a patterned product, art projects are generally open-ended and encourage a child's natural creativity. Art focuses on the process, not the finished product. When buying books for the preschool baskets in my home library, I never purchased cartoon titles. You know the ones...books with Disney characters or super heroes on the covers. I saved my space and time for quality, language-rich books with well-developed characters and interesting plots instead. I knew that even my preschoolers could learn to develop refined reading pallets even before they ever learned to read. After trial and error, I learned that those cut-n-paste worksheets and those silly little alphabet printable packs that have been passed around the internet like last year's sinus infection were a waste of time. In fact, they did more harm than good. Instead, I taught the names and phonetical sounds of the letters through the following play-based activities. 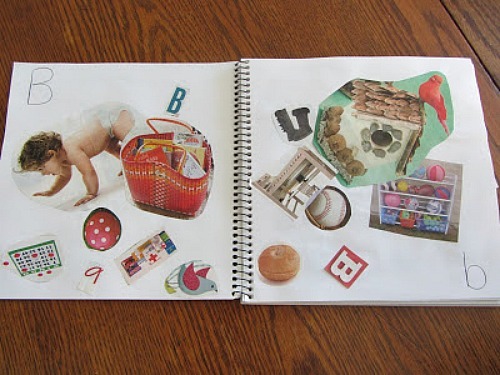 My "curriculum" for those preschool years was simple--quality books and quality toys. That's it. 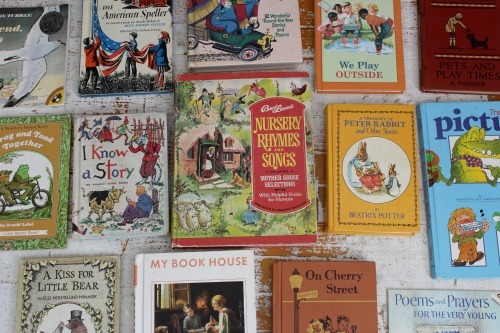 When faced with the overwhelming offerings in homeschooling circles, I chose vintage. I chose to let my young children learn through curiosity and wonder, and in the end, ignited a love for learning that has continued to carry my homeschool year after year. In the words of Robert Frost, I chose the [road] less traveled by, and that has made all the difference. I don't regret my simple preschool choices and I definitely don't regret not partnering with the popular online preschool company. Love it!! Makes me want to take a big deep, "I can do this" breath. 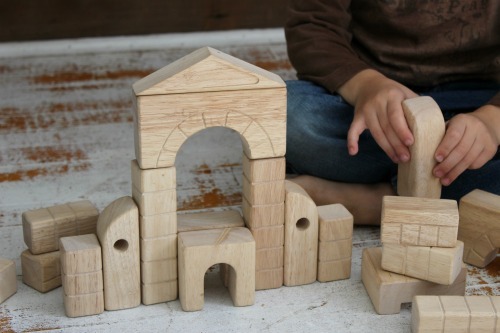 Love, play and creativity can shape a young child in ways structured systems can't touch. Thanks for the reminder!